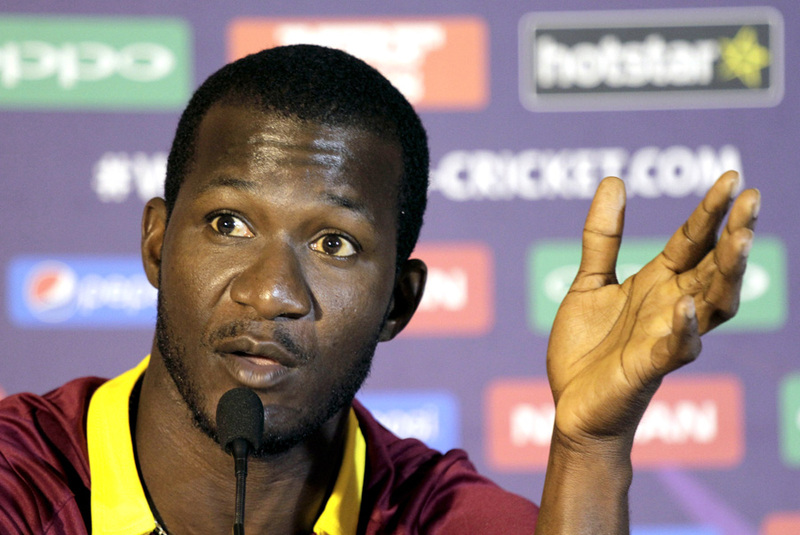 Darren Sammy, the West Indies captain, described commentator Mark Nicholas' pre-tournament characterisation of his team as "short of brains" as an emotional flashpoint for his side during the World T20. Nicholas had made the comment in a column for ESPNcricinfo on March 3, writing: "West Indies are short of brains but have IPL history in their ranks." On the eve of the final against England, Sammy said that comment and many other depictions of his team as mercenary cricketers have rankled, especially because West Indies have been a leading T20 international side for several years. They won the 2012 World T20, and progressed to the semi-final of the 2014 tournament in Bangladesh, where they lost to eventual champions Sri Lanka. "How could you describe people with no brains? Even animals have brains," Sammy said in Kolkata. "We're not an object, and for me, that comment really set us off. You have seen me talking about it. It's really emotional, for somebody who I respect and have a good rapport with generally, to describe our team - who two years ago were world champions - as guys with no brains. That's really out of order. "This passion, these emotions, this anger - what these people have been saying - this has always been there from the inception of the tournament. God don't love the ugly, and we are very wonderful and beautifully made. That's why we play exciting cricket. So for us, all these things that happened before the tournament - that is the passion, the determination that we take on the field. Its just one more step to lifting that cup and we believe we can do it." Notwithstanding the loss to Afghanistan after semi-final qualification had already been assured, West Indies have had an impressive run in this World T20. They comfortably defeated England, Sri Lanka and South Africa, and ran down India's 192 for 2 with two balls to spare, in the semi final. Sammy suggested that closing ranks and engaging a sort of siege mentality aided his side's performance. "It's been a tough journey," he said. "A lot happened before the tournament, and I believe that everything always happens for a reason. I think the pre-tournament shenanigans brought us really closer together as a team. I don't know if you have heard the coach say it. The players have said it - it feels like it's us against everybody else. It's a format we've been consistent in, but every year nobody gives us a chance. All these things brought this team together. I think the fact that a few of us are getting old now, and we are aware that it could be the last for a few key players, has also brought us closer. We've formed our own little circle." West Indies chase of India's score was notable for the number of boundaries hit. Of their eventual 196, 146 came from 20 fours and 11 sixes. Through the course of the Super 10s, they have scored 61.08% of their runs in boundaries. "People say we don't rotate our strike well - we will talk about that," Sammy said. "But first thing is you have to stop us from hitting boundaries. That has been difficult for oppositions once we get in that swing. "I think since the inception of T20, you've seen West Indies is a boundary-hitting team so that's no surprise for me. We know the power we have in the dressing room so it was exciting to watch. Lendl Simmons, Andre Russell and Johnson Charles displayed that type of batting - boundary hitting - against India." Having already beaten England in their opening match, West Indies perhaps go into the final as the more fancied outfit. However, Sammy said England had improved with each outing since then, and suggested that his team might even be underdogs at Eden Gardens. "We're always David [of David and Goliath]. David is a winner. Look, even now I still don't think people give us a chance," he said. "Goliath was big and strong but David defeated him with a sling and one shot. We always see ourselves as David. We will play like David, be smart about it, believe in ourselves and in each other."